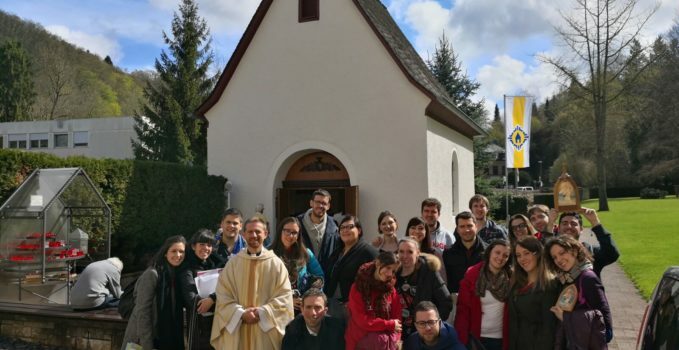 Four years have passed since that August 2014, when with the university chaplaincy, we chose Germany as the destination for our summer pilgrimage into which we inserted Schoenstatt as one of our stops. Many years, perhaps too many, certainly enough to make grow in us the desire to go back to that place so close to our hearts. 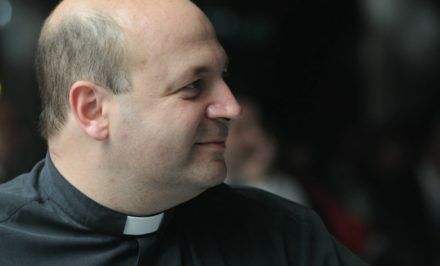 Although… we needed an occasion, which promptly arrived, manifesting itself through those human bonds so dear to Father Kentenich: the possibility to embrace Father Alfredo Pereira again, who for years was responsible for our group, and who, after having returned to Paraguay, was spending three months of retreat time in Schoenstatt. 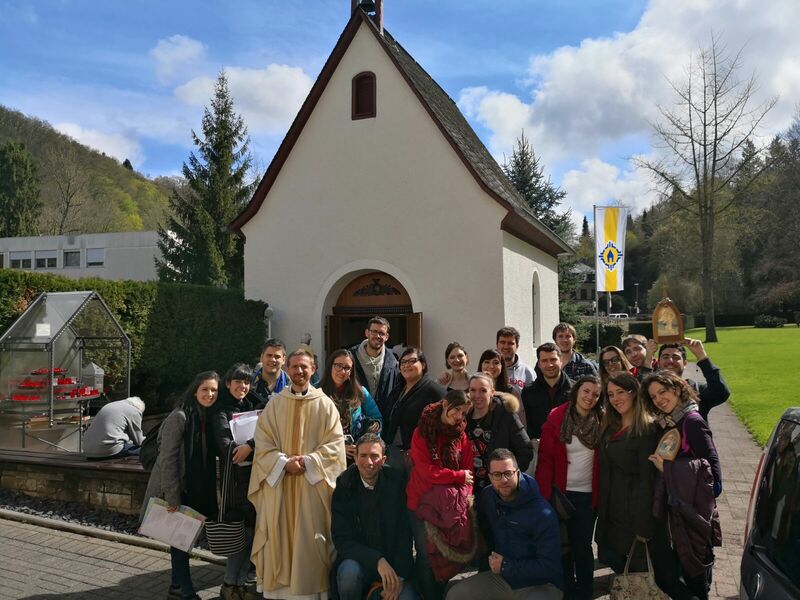 In this spirit, we left for Schoenstatt. Relaxed in appearance, notwithstanding some mishap at the outset, and the common desire of being together, with the contagious joyfulness of a decidedly large Italian family on holiday, our objective in having a weekend break from the frenetic pace of the everyday hustle and bustle, and the responsibility of taking our friends and families intentions entrusted to us. 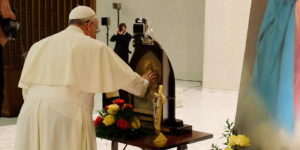 Friday flew by quickly between the visit to Mount Moriah and the Mass in the Shrine on Mount Sion. A quick meal and then, even though dawn began showing its appearance, we were ready for a special appointment: a moment of prayer in the Original Shrine that would be “ours” for an hour. 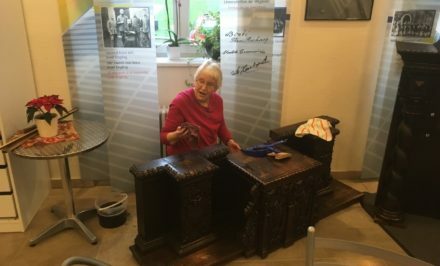 A brief interlude, but an intense one, made precious by the stories of Maria Fisher, our special guest. 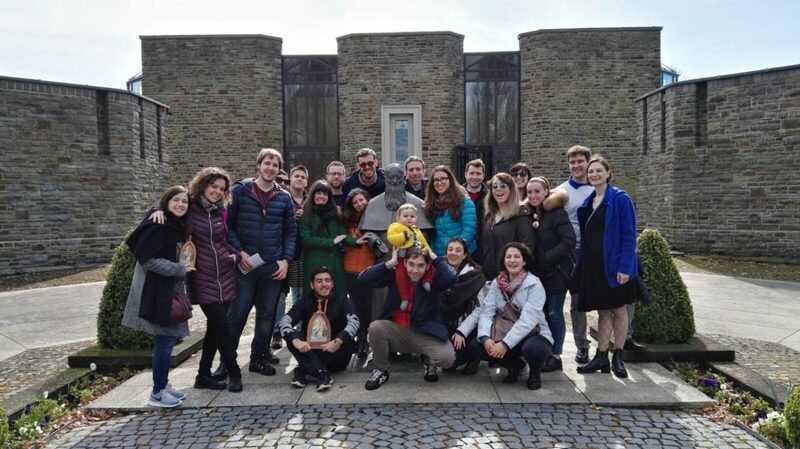 Saturday was dedicated to visiting the most important places in Schoenstatt, and of a deepening awareness of the figure of Father Kentenich, our total companion and chaperone. 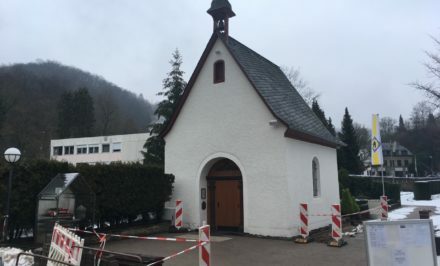 One of the first things we learned when we were introduced into the Movement was that the Schoenstatt Shrines scattered throughout the world are all the same: faithful copies of the Pallottine chapel that we simply call the Original Shrine in which, on 18th October 1914, Father Kentenich celebrated the first Covenant of Love. 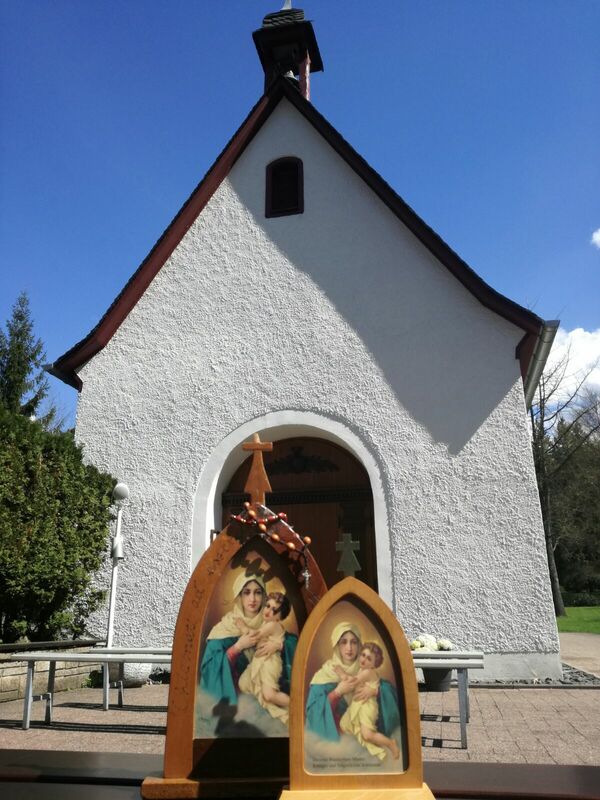 A spontaneous question arose: if the Shrines are all the same, what is the sense of going all the way to Schoenstatt in Germany, when we can simply visit the Shrine closest to us? The answer was simpler than we could imagine. 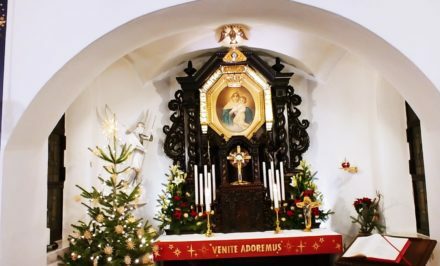 Even though it is true architecturally that the shrines are all “copies” that conform to the original design, it is equally true though that each one of them embodies a particular grace, over and above the three “classics” of the original one (Grace of Home, interior transformation, and apostolate) and have a spirit proper to themselves, that makes them, in their own way, original (with a small o, not in the sense of being the “first” but “unique”); a bit like us. Outwardly so similar but at the same time so different. 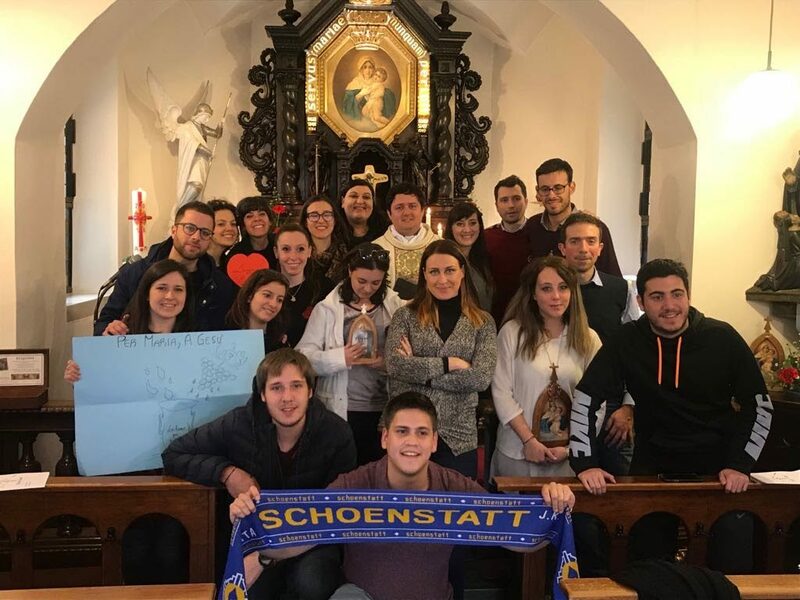 And then at times because even the soul needs to breathe, and there are places, such as Schoenstatt, where breathing is easier than in other places, and all is conducive to allowing to entrust ourselves and those dear to us, shaking the baggage we carry off our shoulders. In the hope that we will return without waiting another four years.